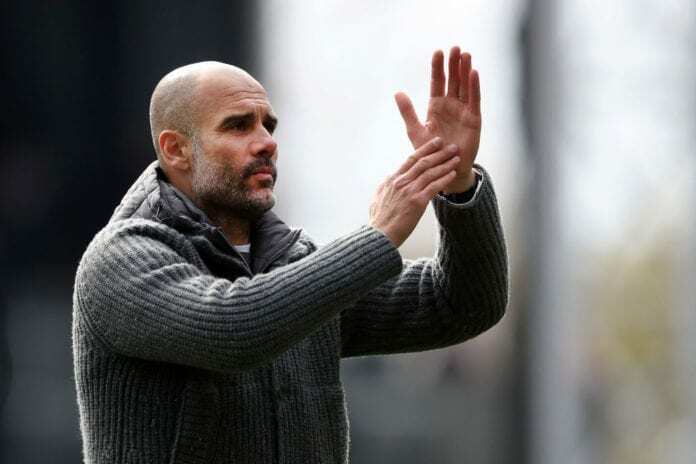 Manchester City manager Pep Guardiola admits the pressure of the Premier League title battle with Liverpool is “incredible” following their 3-1 win at Crystal Palace. The Citizens retook top spot for the time being following a stellar display at Selhurst Park. Raheem Sterling set City on their way by outsprinting Patrick van Aanholt to latch on to Kevin de Bruyne’s pass and fire the ball past Palace keeper Vicente Guaita. The English winger later doubled City’s lead in the second half. Although Luka Milivojevic’s 80th-minute free-kick had put Palace back into the game before Gabriel Jesus secured City a 3-1 victory. Despite returning to the top of the table, however, even Guardiola is feeling the intensity of their battle with Liverpool. “This pressure is incredible. We are fighting to be champions back to back,” said Guardiola, according to TeamTalk. Sterling has now taken his tally up to 17 goals and nine assists in 29 league games this season. 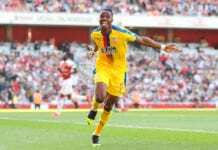 And Guardiola hailed the 24-year-old’s impact at Palace. 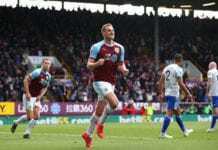 The former Liverpool star’s pace was simply too much to handle for Palace on the day and he capped things off by scoring his first brace away from home for City. “He missed the first chance but the first goal was incredible,” said the Catalan. Now Guardiola’s side will return to the Etihad Stadium to prepare for the second leg of their Champions League quarter-final tie with Tottenham on Tuesday. City fell to a 1-0 defeat in last week’s first leg and will be hoping to take full advantage of their home support to launch a comeback. Spurs themselves also tasted victory this weekend by thrashing Huddersfield Town 4-0 on Saturday.